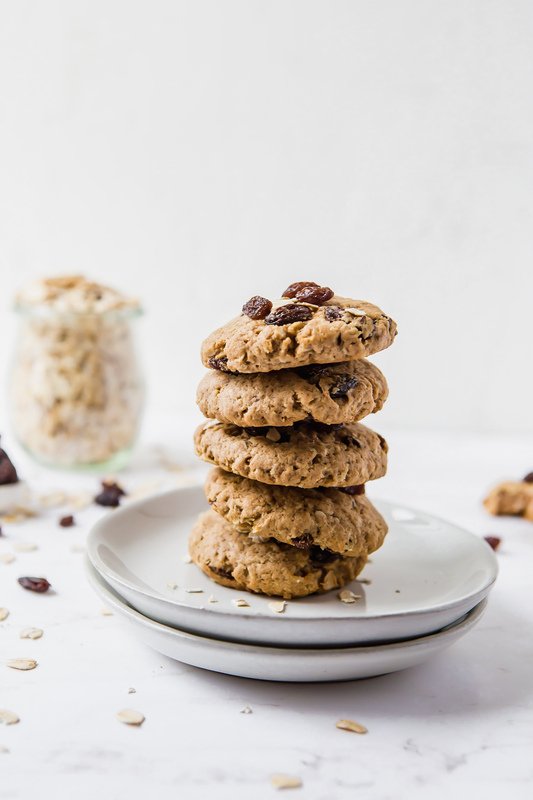 This is a perfect and easy cookie recipe filled with warm, inviting flavors of cinnamon, oats, and raisins…and probably memories of your youth! They hold together really well and are a great snack for kids and adults. If you don’t like raisins, then you can sub out chocolate chips and make this cookie just as delicious! This post is sponsored by Chebe. Please know that I only work with brands I truly love and that I know you’ll love too! I think my favorite food is…well, basically anything sweet. What can I say, I have a sweet tooth! I was trying out some different dessert type recipes using the Chebe cinnamon roll mix (one of my favorite mixes, by the way) and I inadvertently came up with these epic oatmeal raisin cookies! Chebe bread is made from tapioca starch which makes it grain-free by nature. 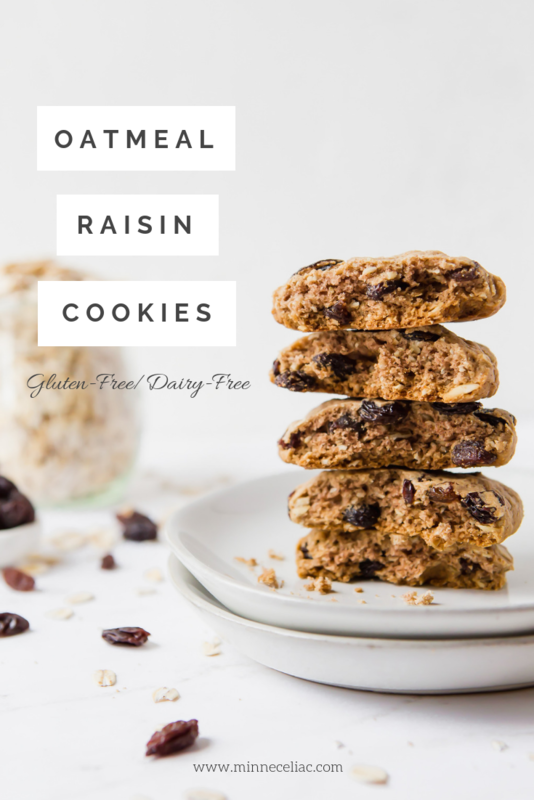 Adding in the oats makes those the only grains in these cookies. So if you can tolerate oats then this is a great recipe for you! For this recipe, and any other recipe calling for oats, I choose Bob’s Red Mill. I have had excellent luck with all the other Bob’s gluten-free products and I trust that they are taking all the necessary steps to keep the gluten-free community safe. Here is what is posted on their website about their gluten-free oats: Bob’s Red Mill is proud to be a trusted source for gluten free oats, working with farmers who understand the concern and the need to keep grains separate, avoiding cross-contamination. At the mill, we test every load we receive for gluten before the oats even enter our gluten free processing facility. We test again during processing, and finally, we test a third time as the oats are being packaged to be sent to store shelves. 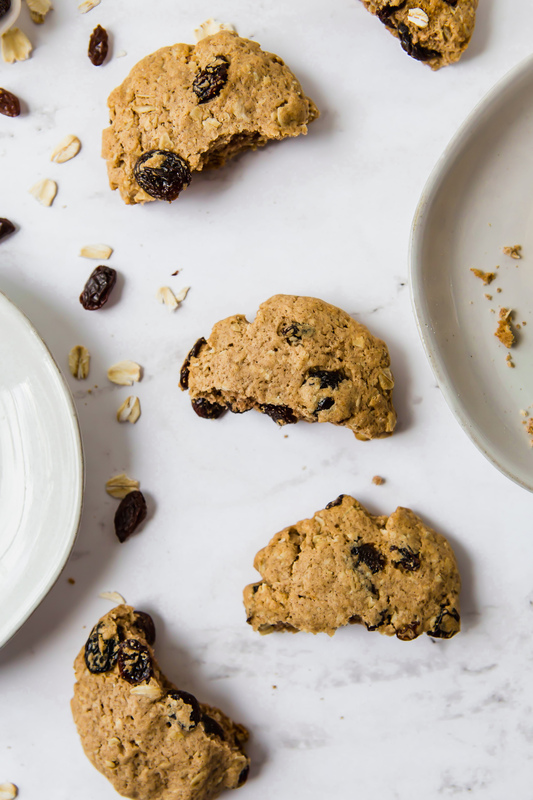 This version of an oatmeal-raisin cookie is gluten-free and dairy-free! And the flavor is spot on. I didn’t even need to add any other cinnamon or spices to the mix. It is just that flavorful to begin with. I would really love to try making these with dried cherries and chocolate chips. Then you could dip one half in melted white chocolate and garnish with pistachios! That would even be a festive color combination for Christmas! And how do we make these dairy-free? I actually used palm oil shortening as the base fat, which is a great baking alternative to butter. 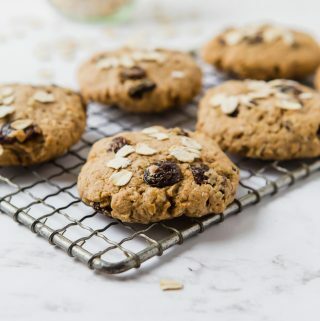 This is a perfect and easy cookie recipe filled with warm, inviting flavors of cinnamon, oats, and raisins...and probably memories of your youth! They hold together really well and are a great snack for kids and adults. 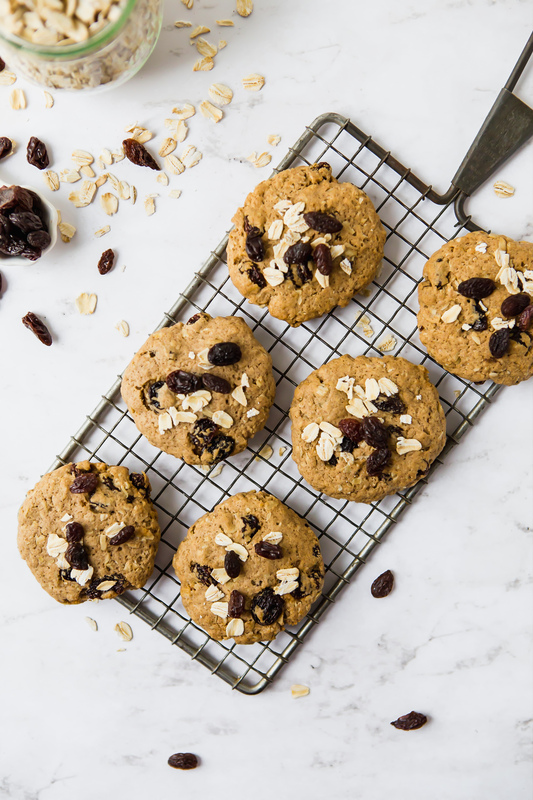 If you don't like raisins, then you can sub out chocolate chips and make this cookie just as delicious! Mix palm oil shortening and brown sugar until smooth and fluffy. It will start to coat the sides of the mixing bowl when it's all combined. For all of my cookie making, I like to use the OXO Good Grips Medium Cookie Scoop which holds 1 ½ tablespoons of dough. Fill the cookie scoop and then form into balls. Place balls of dough onto two parchment paper lined cookie sheets (12 per sheet). Squish the cookie dough balls down with your hand to make discs. These won't change shape much during the cooking process so make them the size and thickness you prefer! Bake in a 350 degree oven for about 15 minutes until bottoms are golden brown. Check out some of the other recipes I’ve created using Chebe Bread mixes! I’d also love to hear what your favorite kind of cookie is! Share in the comments below.